Went out last night, finally picked my peppers, kinda had no other choice since even after staking them up they were still leaning due to the sheer weight of the peppers on the poor little plant! That I have not tried, though, I may just have to!! Lord knows I have enough! Looks GREAT! Enjoy your harvest!! Congratulations on your great harvest! 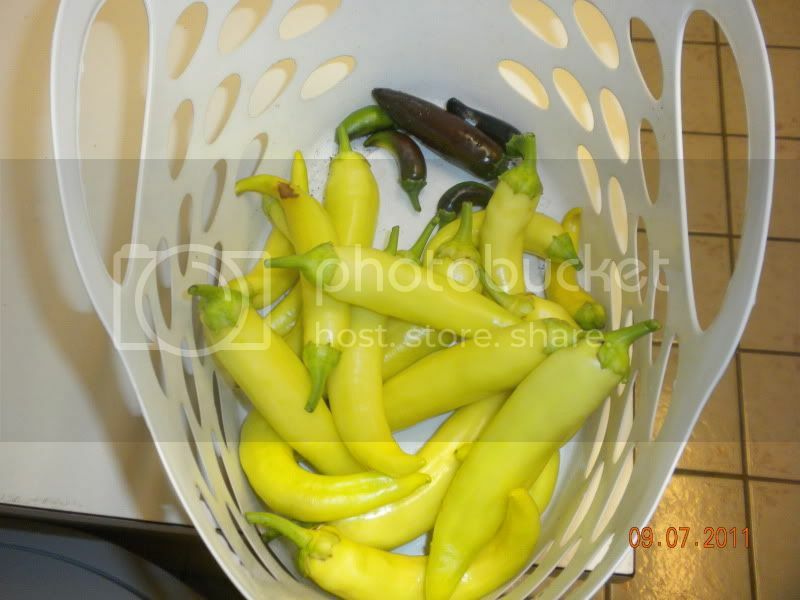 Are all of the banana peppers from 1 plant? Nice! Those bannan peppers came out great, they have a nice size to them. I didn't grow any this year but i did grow several other variety's most have done well. My Nu Mex Heritage were the most productive followed by Serrano. garden5 wrote: Congratulations on your great harvest! 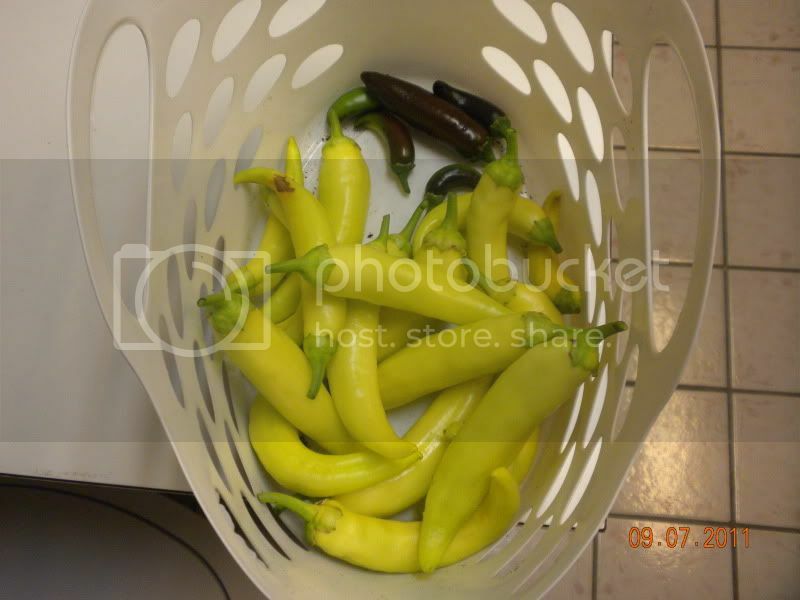 Are all of the banana peppers from 1 plant? Mostly yes! There may be one or two in there from the other plant, but a majority of those are all from one little plant. It was so heavy I had to stake it up, and even that wasn't helping! Wow, that's great productivity! My bananas aren't all that productive. However, my jalapenos are producing well.